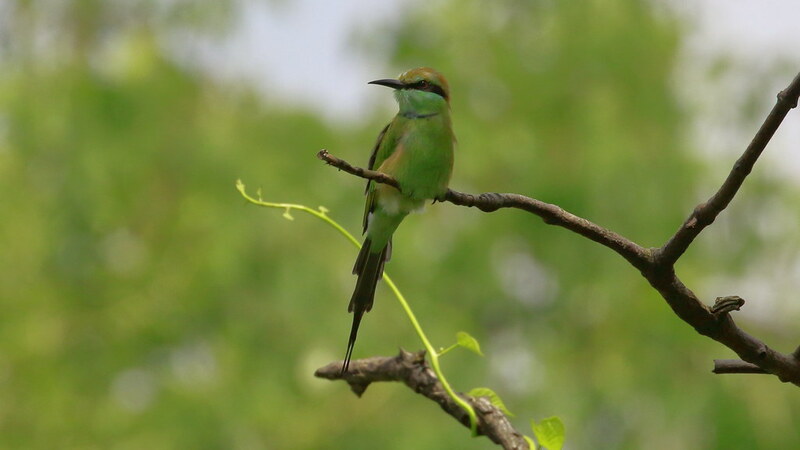 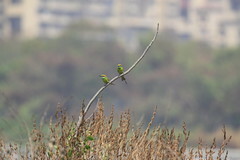 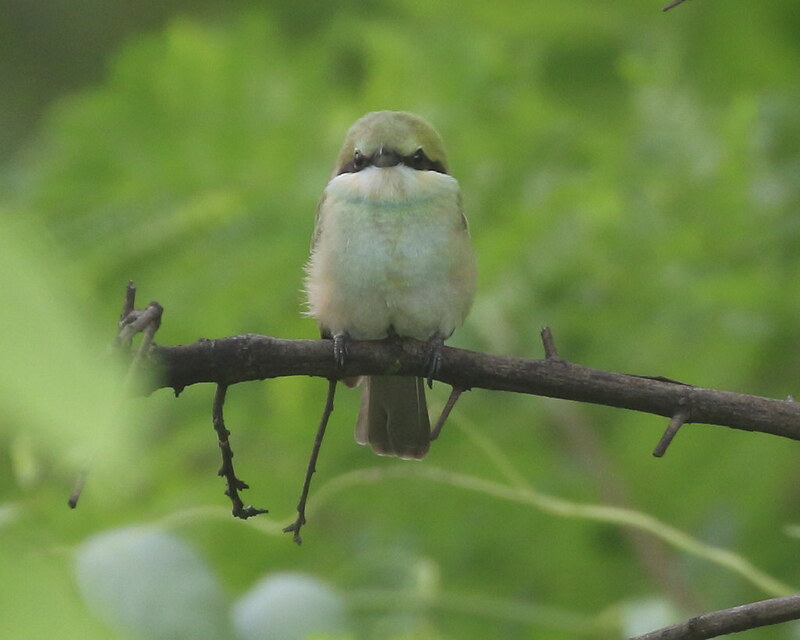 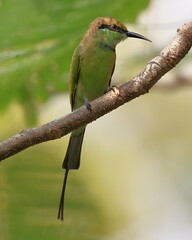 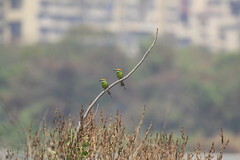 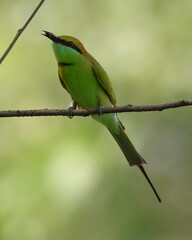 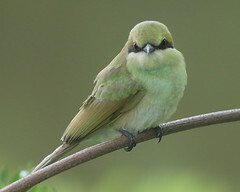 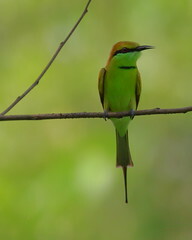 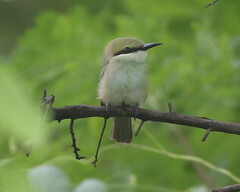 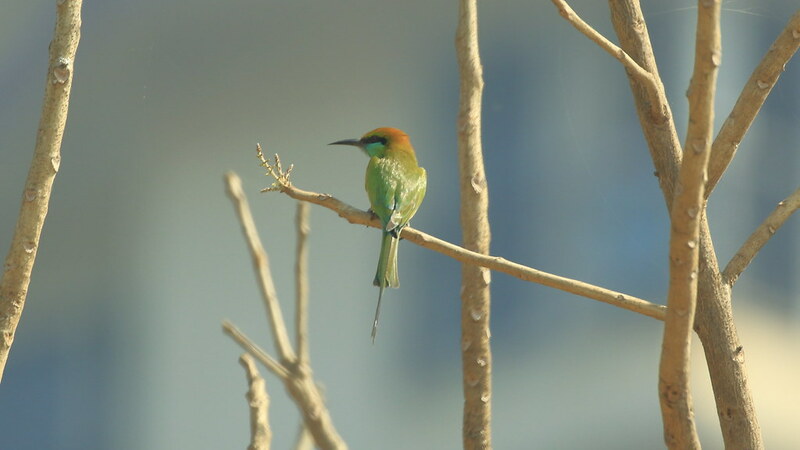 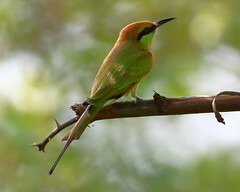 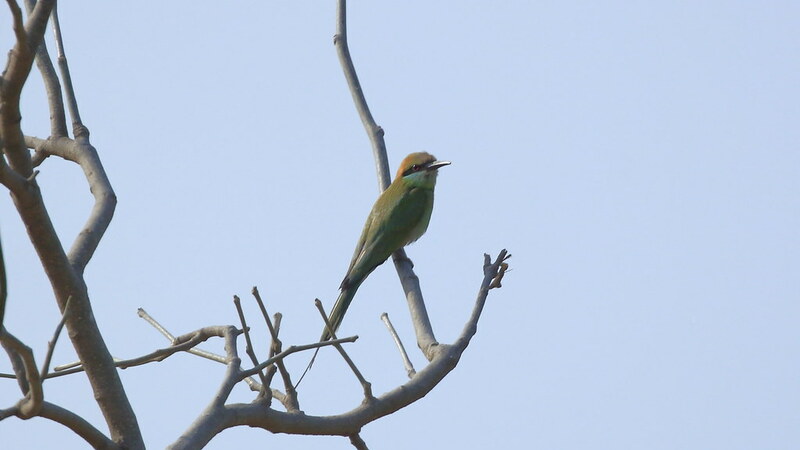 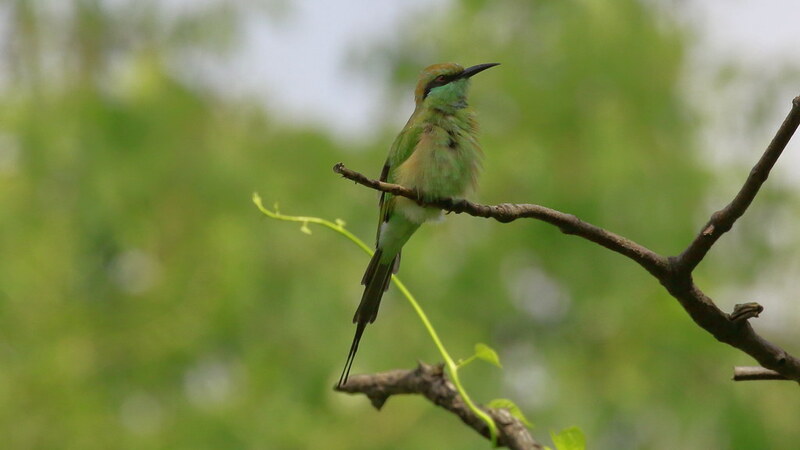 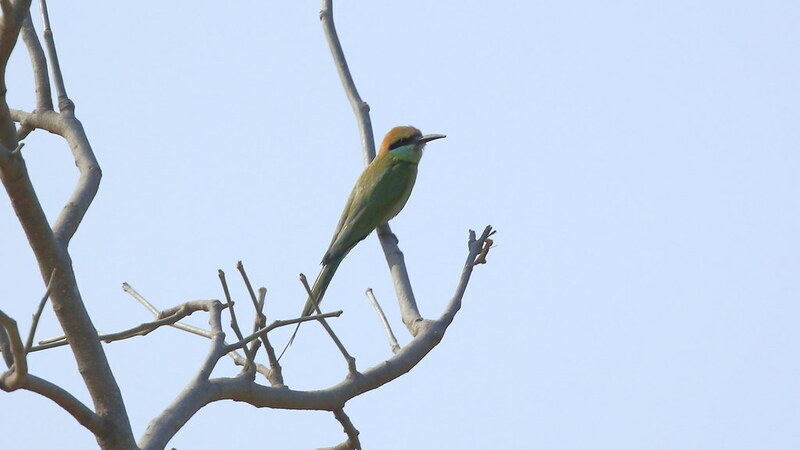 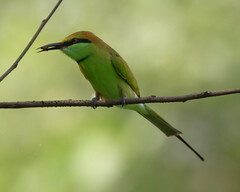 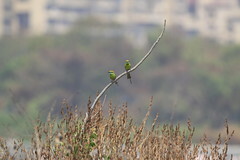 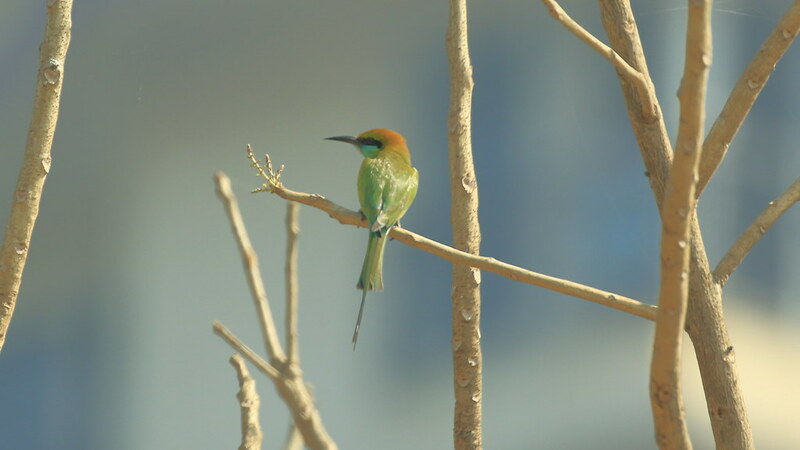 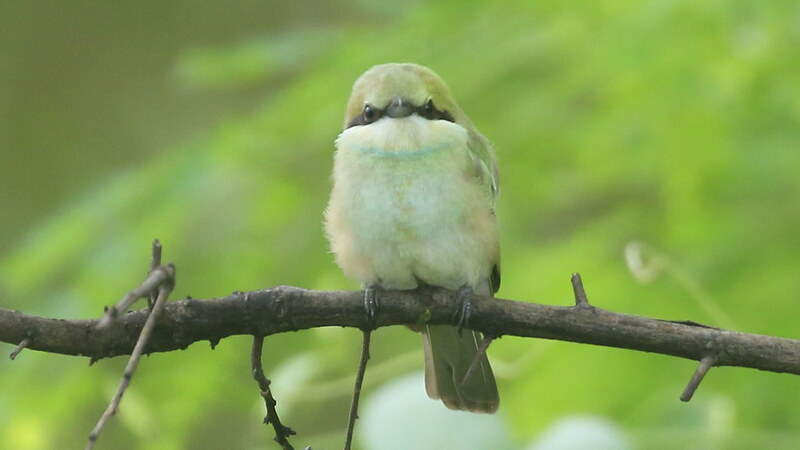 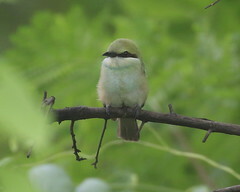 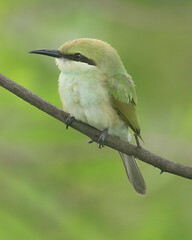 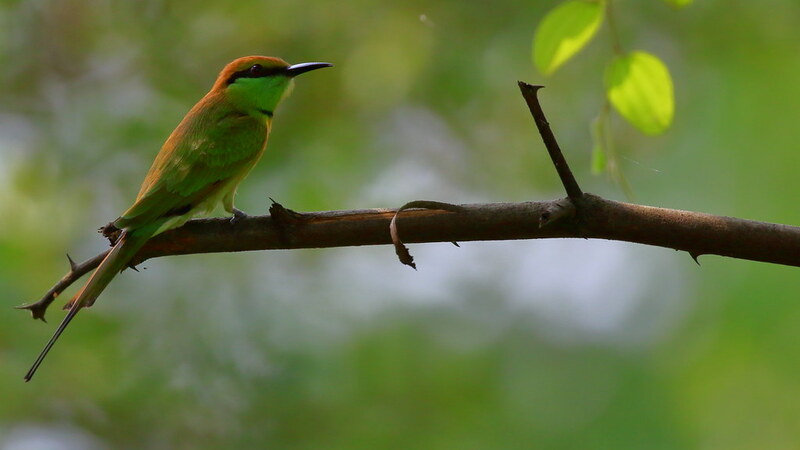 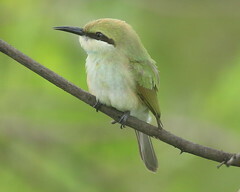 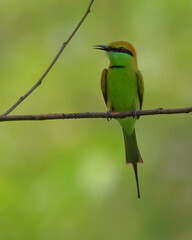 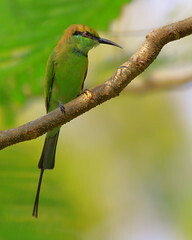 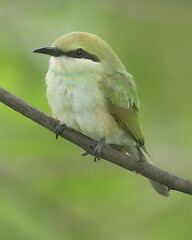 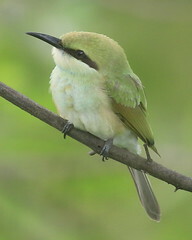 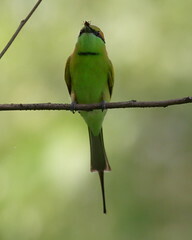 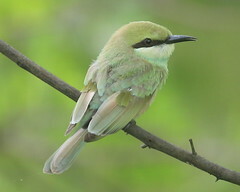 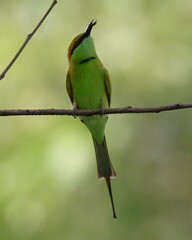 Veda Raghu “Green Bee Eater” They have name it right :Veda raghu The bird sits at a place, then flies here-n-there, up-n-down, then sits back at the same place. 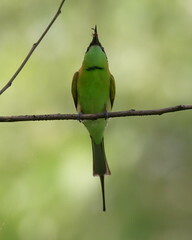 It does this several times before changing the place of sitting. This act looks like madness. 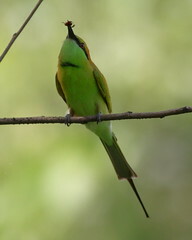 But there is a reason why this bird does this act. 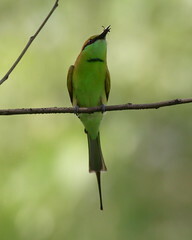 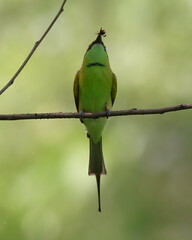 We cannot always see, but this bird with complete control over its flight, catches the insects flying in the air. 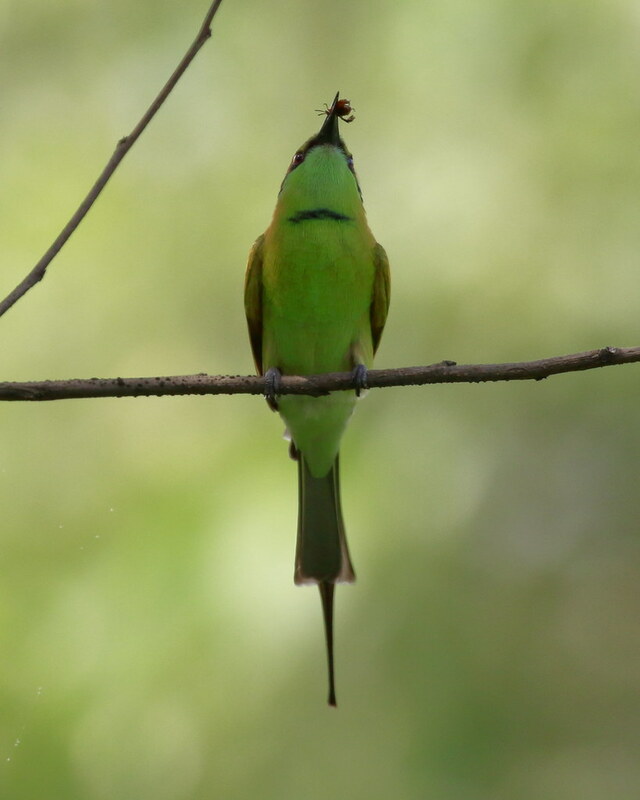 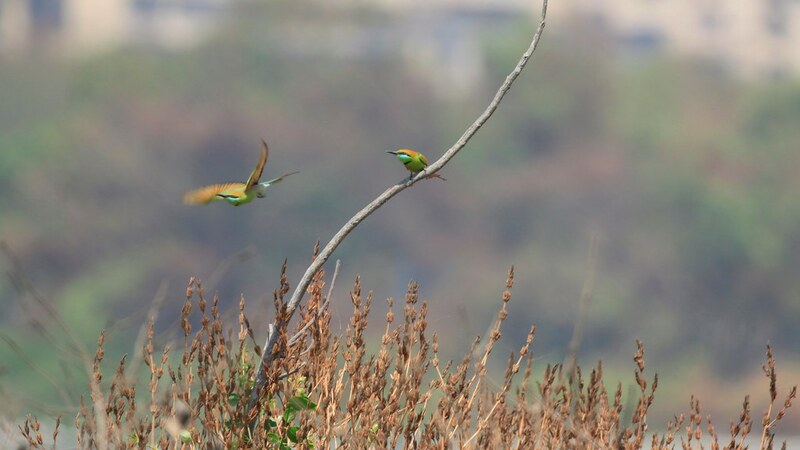 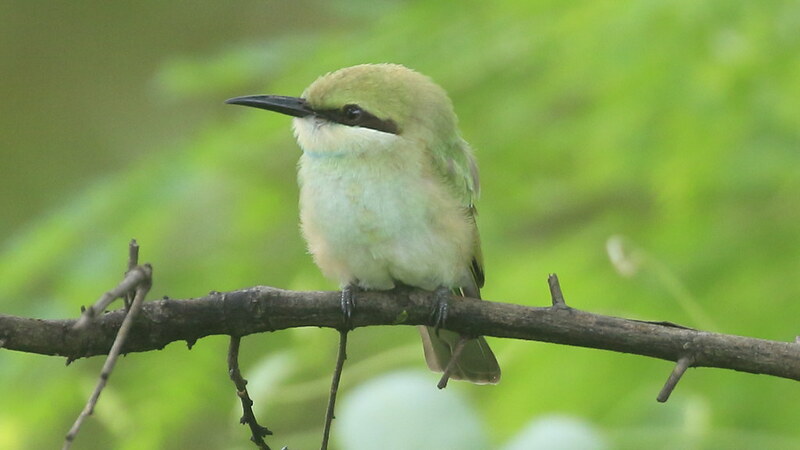 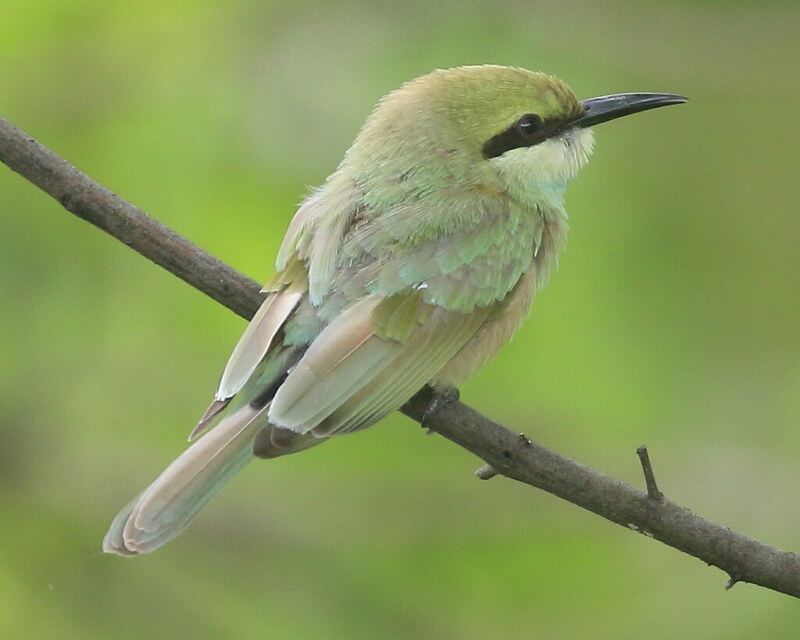 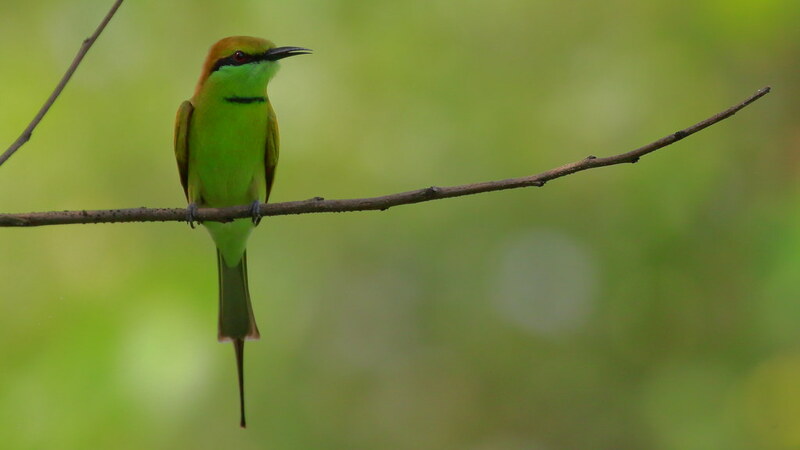 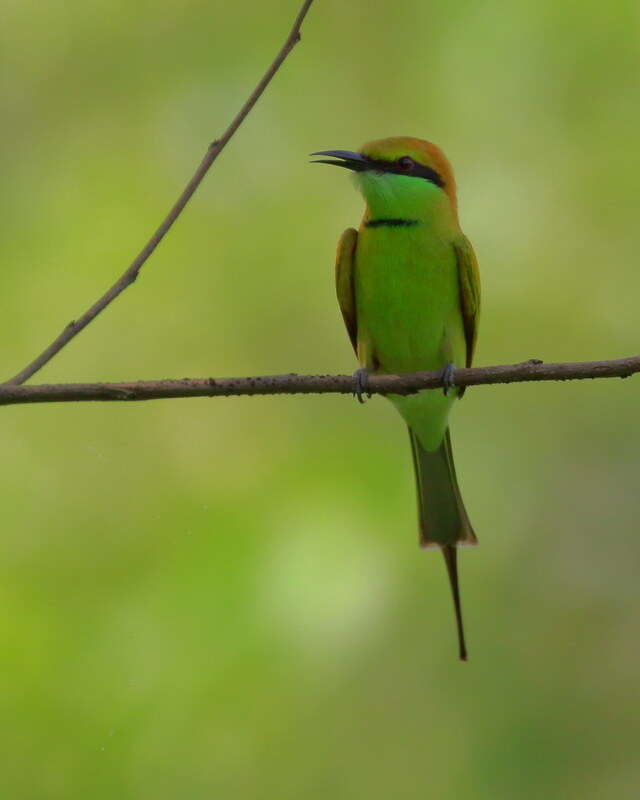 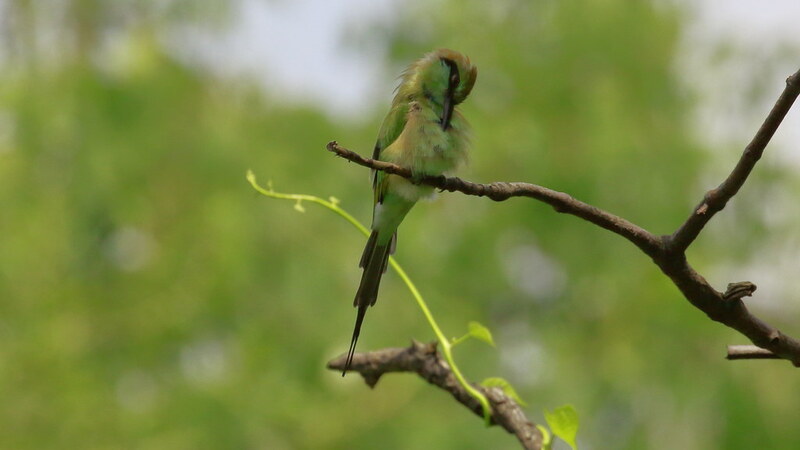 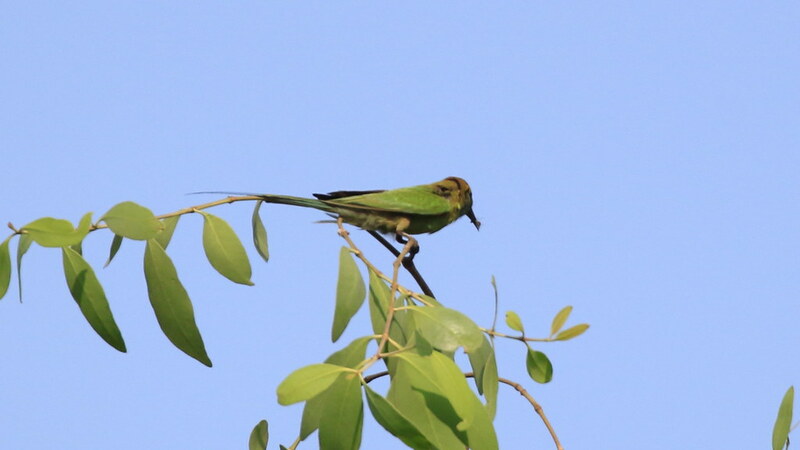 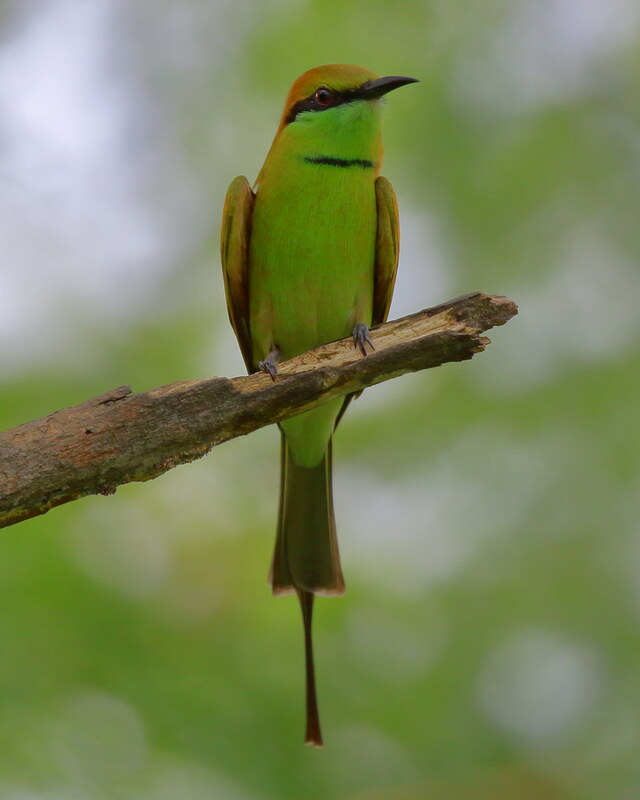 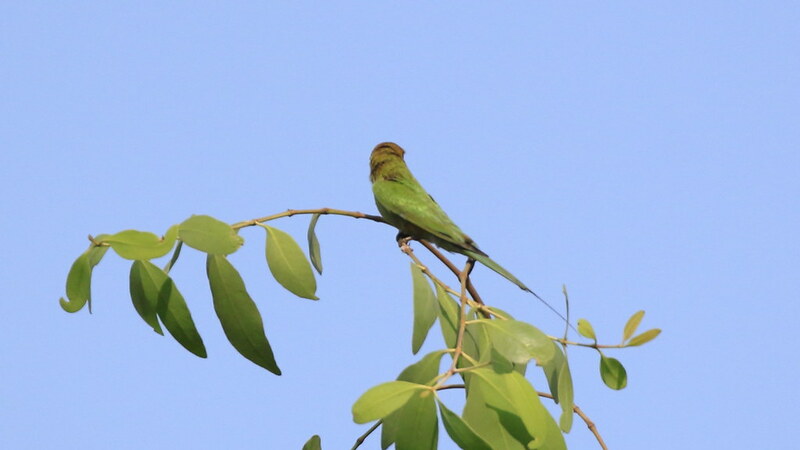 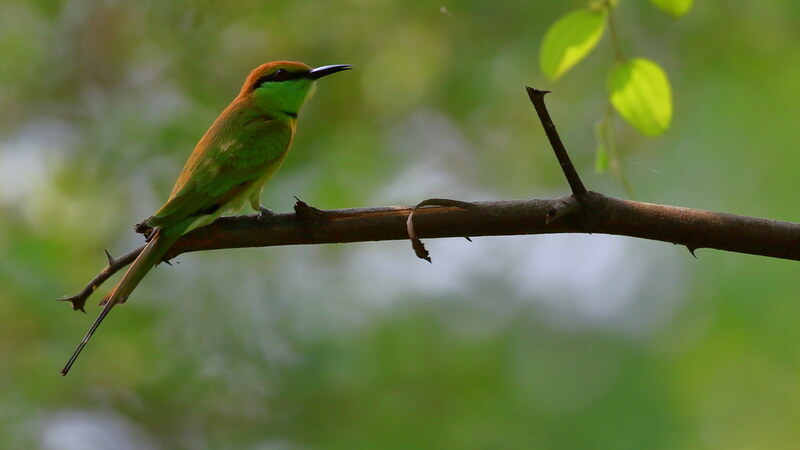 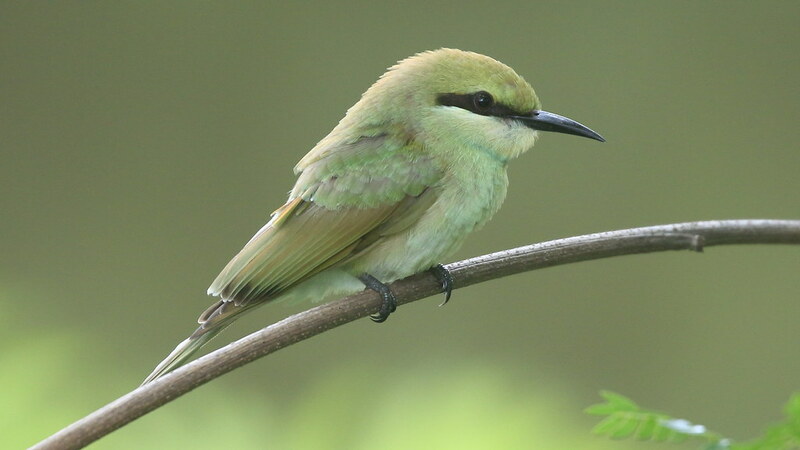 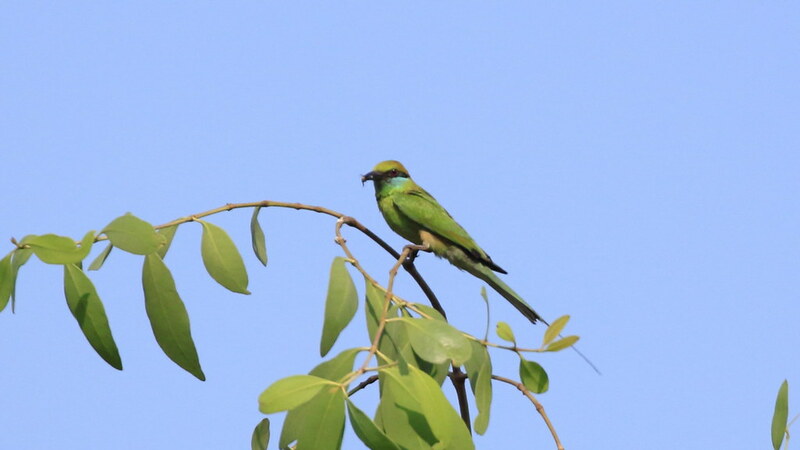 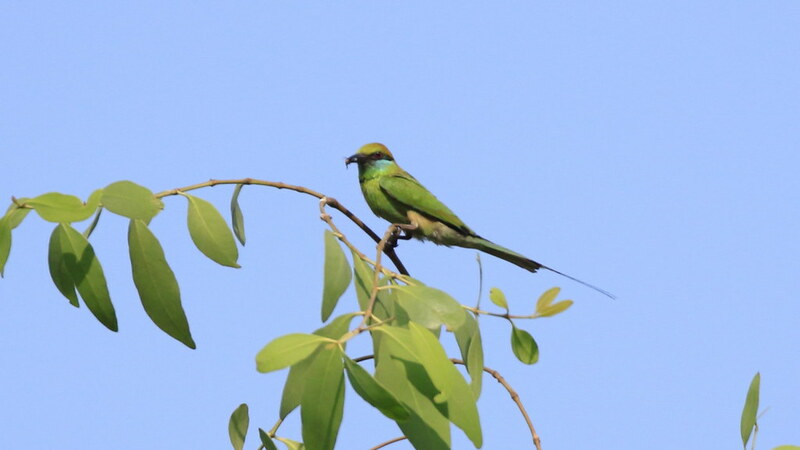 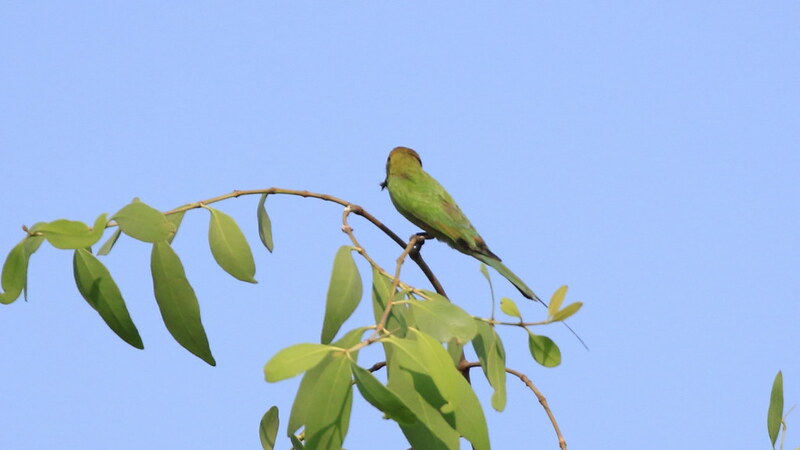 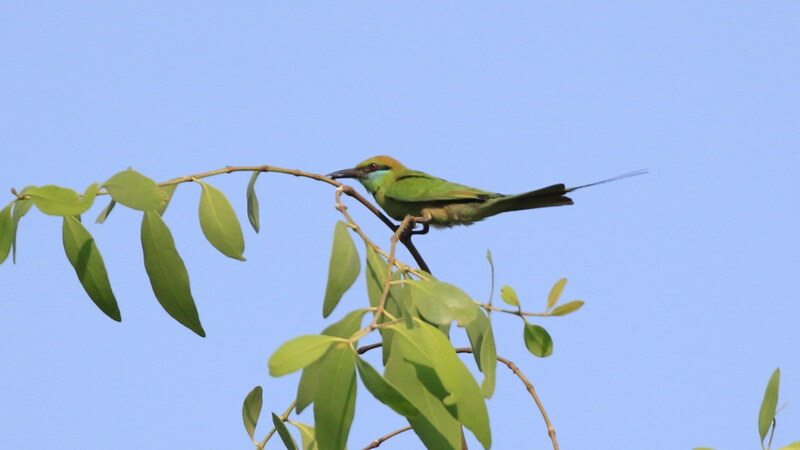 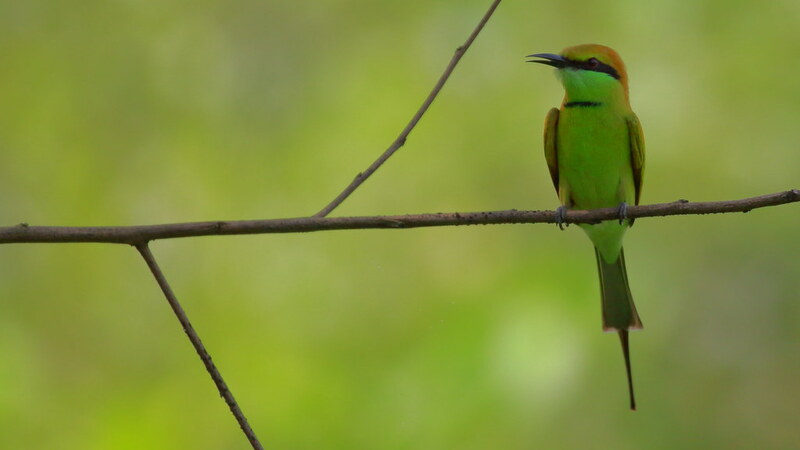 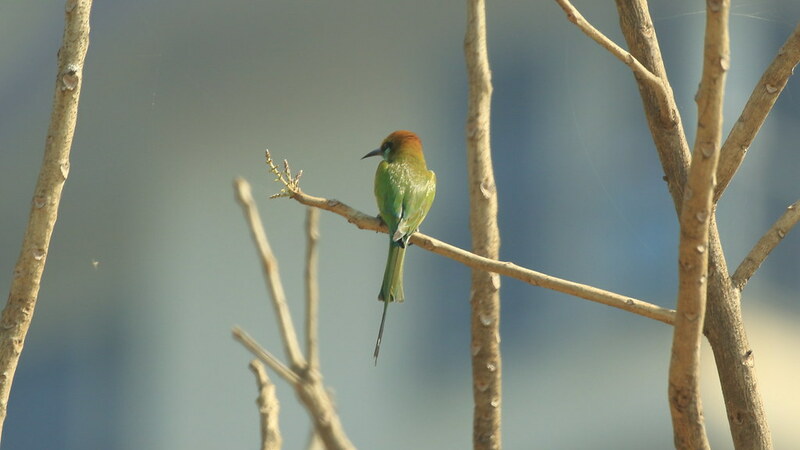 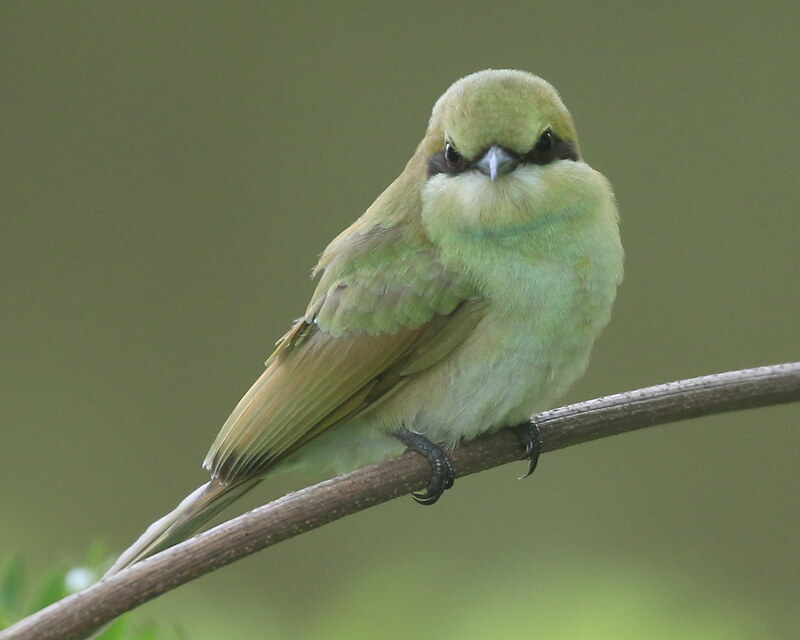 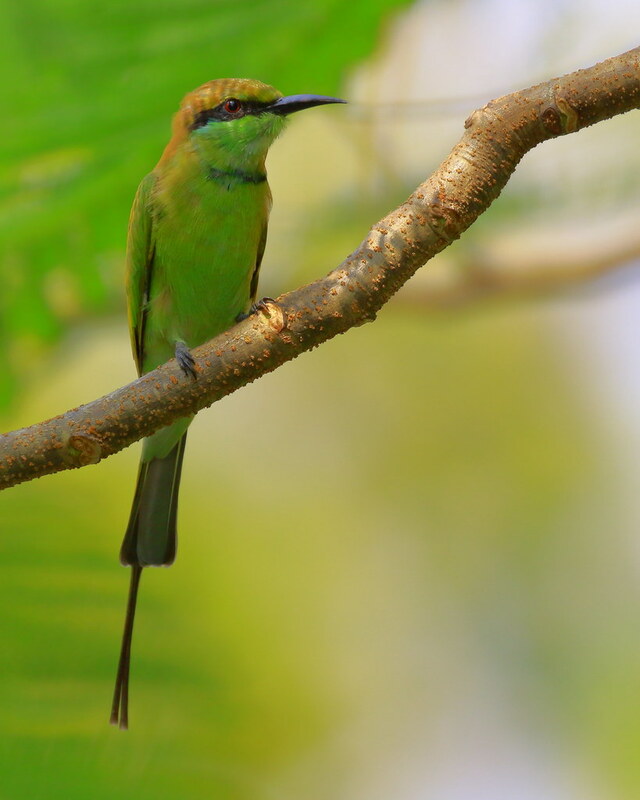 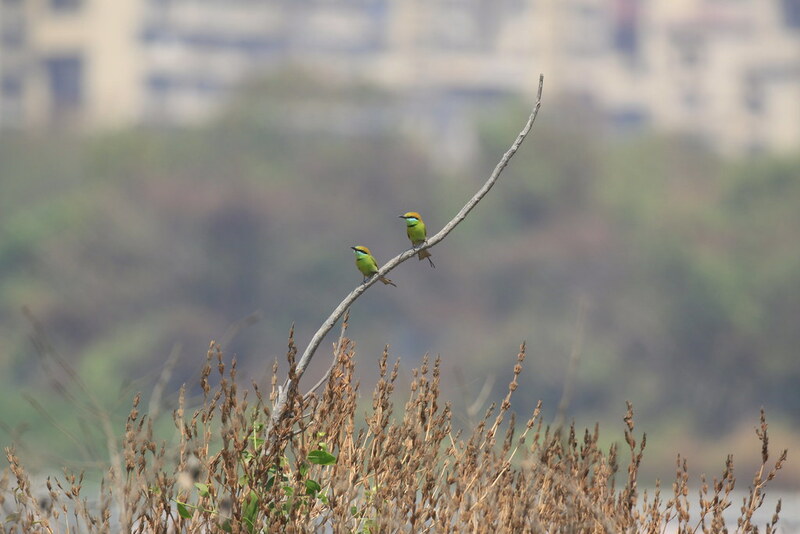 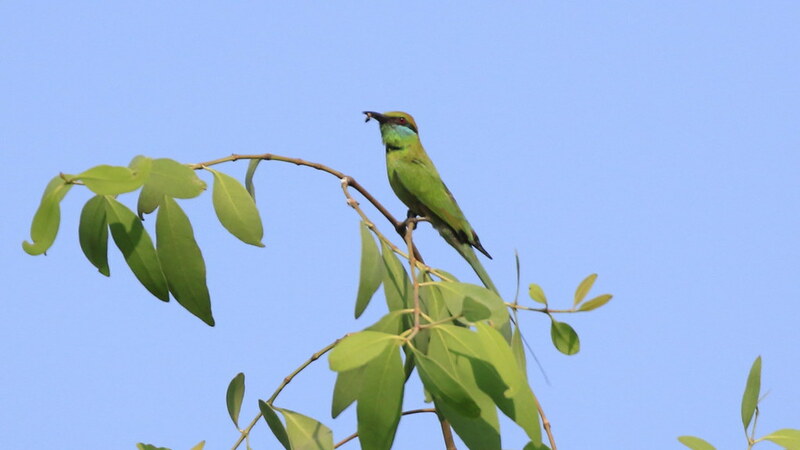 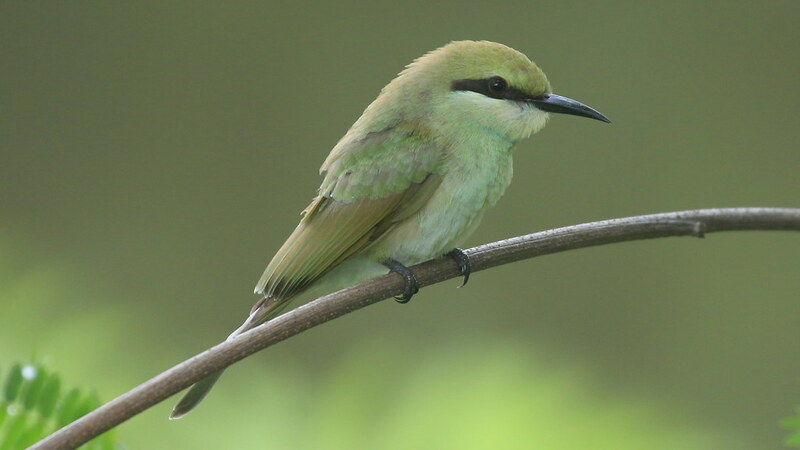 So when the Green Bee-eater goes up-n-down, flies madly as if it doesn’t know where it wants to go, it actually is following an insect. 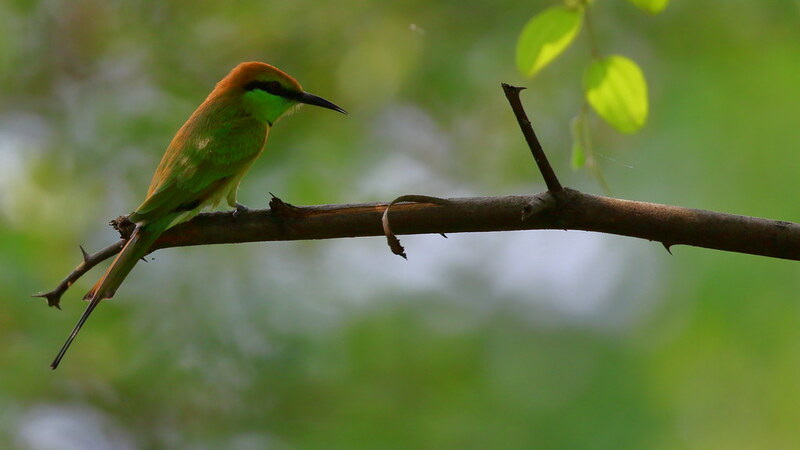 -Before eating its meal, a bee eater removes the sting by hitting and rubbing the insect on a hard surface to extract most of the venom.